In a few weeks’ time Gujarat Assembly Elections will be taking place once again. This is an appropriate time to focus for Gujaratis all over the world and decide as to in whose hands they wish to place the future of Gujarat. The Congress has a one point election plank and that is to demonise Gujarat CM Narendra Modi. By demonising Modi for the last ten years, the Congress Party is implicitly demonising the people of Gujarat as a whole because they have voted-in Narendra Modi as the Chief Minister twice and also by extension the Gujaratis all over the world. The Congress should take a cue from the UK and USA Governments. Why does the Congress Party fear Narendra Modi so much and why have they incessantly demonised Modi for the last ten years. I have touched on this aspect in some earlier Columns of mine. The answer is very simple. The Congress Party is not worried about Gujarat. The Congress Party is worried about Modi’s challenge to the heir apparent Rahul Gandhi in the 2014 General Elations. In the Congress strategy blue print Rahul Gandhi should have been eased into the PM’s chair in the early stages of UPA II, but it could not happen due to Rahul Gandhi’s own reluctance. Whether this reluctance was a calibrated strategy on the lines of the ‘great renunciation’, only God knows. But time has caught up with a vengeance and now there cannot be any more dilly dallying on Rahul Gandhi being made to take the plunge as Congress Party’s candidate for Prime Ministership in 2014. And that is where Gujarat Chief Minister Narendra Modi comes into the picture. 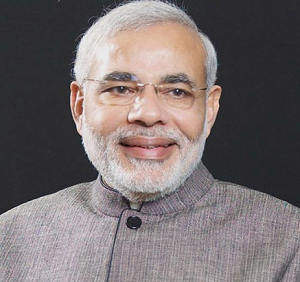 Reportedly, the BJP too may not have any choice but to project Narendra Modi as its Prime Ministerial candidate irrespective of the Gujarat Assembly elections outcome. Going by a reading of blogs and tweets there is a widespread feeling that after the political misgovernance, corruption and brazenness over corruption by the ruling party, India demands a strong Prime Minister. The people of India and not Gujaratis alone wish that Modi emerges as the next Prime Minister of India. That is also reflected by a number of poll surveys by the media. Note: I am not a Gujarati nor from the BJP. I am a simple but proud Indian with strong aspirations for India to emerge as a Great Nation.